Okay, so you ate too much turkey, stuffing, gravy, pie, and who knows what else. No judgement from me...I did too! 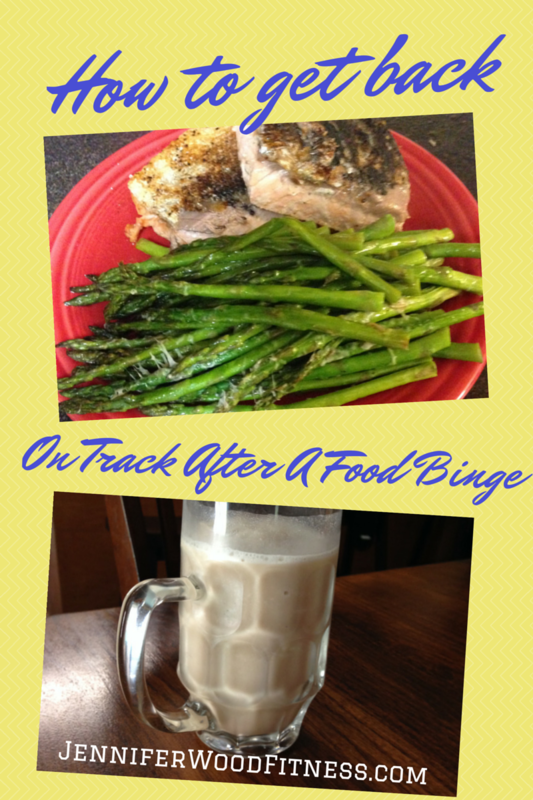 So, how do you get back on track quickly after a food binge? The key is to eating really clean the next day. Here is what I normally do to keep the scale from going up and help make the bloat go away. Drink lots of water. Avoid Dairy. Eat lean meats, veggies and skip carbs like bread and sugary foods. Think of it like a clean food detox for a few days post binge. Breakfast: Shakeology mixed with 1 cup water, 1 capful of coconut extract (optional, but I like it like this) - this is a once a day meal replacement that I drink daily. Never skip it because its amazing. Also drink 20 oz water. Add lemon for extra detox. Snack: Green tea with stevia, 20 oz water. You can also drink Dandelion tea with lemon to help detox. Lunch: Salad greens or spinach with 3 oz grilled chicken breast, tsp olive oil and drizzle balsamic vinegar (unlimited), half small apple, NO CHEESE. D: 3-4 oz chicken or fish broiled with seasonings, steamed broccoli and 1/2 cup brown rice, or another small salad. S: More water and dandelion tea. **Make sure to do a 30 minute or longer cardio workout. Interval or HIIT style workouts are great, but if walking or running is the only thing available, just get active. Do this for 1 - 3 days.